Hello-Hello Group #11 is back! For this week, I feel like celebrating again. My followers now 3500+ and my SP 600+. YAY! I feel so happy and blessed. Thank you for standing by me and growing with me from strength to strength. I sincerely love all of you! I think it is not to late to wish Ramadan Mubarak to all Muslim Members and Steemians all over the world. May this Ramadan be a month of blessings, a month of full of forgiveness and guidance for you and your family ~ @ainie.kashif. Let's get straight to the topic! Last week we have decorated our blogs with flowers. We got to learn so many things about flowers, including traditions and cultures around the world. So this week, let's continue to focus on our Culture and Traditions. Culture is defined as the characteristics of a particular nations and people, encompassing language, religion, cuisine, social habits, music and arts. Always remember your roots, your cultures and traditions as they represent your identity ~ @ainie.kashif. Tarian Gamelan was brought to Pahang and performed in Malaya in 1811 at a palace in Pekan in conjunction with the Royal wedding between the Riau-Lingga government and the Pahang government. The British resident, Frank Swettenham wrote in his 'Malay Sketches' record in 1878 about gamelan performances at Istana Pahang. PS: Don't get lost, do check the rules below before participating. I have tried explaining it as clear as I can in the Rules section, hope it helps. Still don't understand? Post your questions in the comments section below. How to Grow your SP (Steem Power)? As mentioned previously, I have noticed that some of us are having very low SP. You need a higher SP to grow faster here. How do you increase SP other than purchasing them? The key to increasing SP is through a production of good contents (preferably longer), make good comments (preferably longer), and keep on upvoting others. SP from Curation Rewards: from all upvoting activities. SP from Author Rewards: from all commenting activities and posting blogs activities. The above reason is the main reason that we shall focus continuously on creating blogs, comments and upvotes. This is the Hello Hello Group and we shall do it the #HHG way. How to Grow your RP (Reputation Level)? RP grows faster with the number of blogs posted on your page, which means to increase your RP you just need to continuously post more blogs. This relates to our group activities that were tailored to make sure you progress well in this environment. By accepting my challenge in #HHG, it will give you more benefits in return. Hope you can understand why the format was designed as such. I will give anyone who follows the rules and can respond to my post with a good blogs and comments relating to the topic of the week and engage with each other throughout this particular week, a certain SBD amount. I will count your engagements that are good, accumulated it and then I will pay you through my wallet the total amount after the 7-days post-payout done. Make a post or many posts, up to you but at least one post before #HHG of the week ends. All entries will either receive upvotes or tips from me. I encourage to further promote #HHG by writing about #HHG as an intro to your post. Also using the tag #HHG when posting. Your post must be related to the keyword and topic of the week. You can write fiction, real-life experience, poem, cooking etc etc, just try to create one that can be related to the topic of the week. I appreciate a good blog (original and represent a high quality posting). This type of quality blog will receive a tip from me. Once you have done the above, post a link of your post in the comment's section of #HHG of the week. Engage in #HHG community activities, visit each other and comments on each other's post. 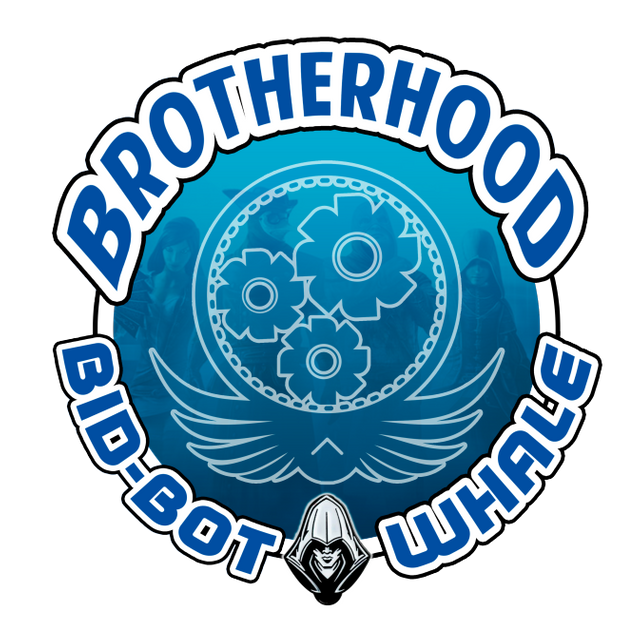 I would encourage that you also upvote your #HHG friends blogs. Don't forget to copy your comments that you made on each other's blogs to below comments section of the #HHG of the week. We are united and stronger together. Congrats to all who supported and participated in this project! We are all connected here because we believe in having a good community that is connected. I am so happy all the strong communicators that believed in creating good community accepted my call towards unity and here we are in yet another edition. I hope to receive your continuous support in this journey. My sincerest appreciations to our group members who took extra efforts by welcoming newbies and inviting them to join the Hello Hello Group! "All for One and One for All". thank you for sharing the culture of Bangladesh to us all. I am very interested in where they put panta-ilish. it is very unique. is it made of clay? Yes! this is made of clay. Using clay is also a tradition included with this 1st baishakh. Hi @aaarif, Greetings from #HHG11! I am so happy reading this awesome blog about your country Bangladesh. When I got to the part about those boys stealing that pot of dates juice and got chase by the owner, that's really funny ROFL. And what a beautiful culture to start the first day of the spring with girls wearing yellow sarees... awesome info. Thanks a lot for the tip :) . Its glad to know that my blog is make you happy. Though my English is poor but i tried my best to give it a good shape. Your appreciation give us strength to write more. Hi @aaarif, thank you for a well written and informative post about your culture, country and lifestyle. I have learnt that a country can have 6 seasons, whereas I though 4 was the limit. This is such a comprehensive overview of you country, I feel like I know it all ready. that fish looks so delicious, I'm craving it from my home. ROFL, about the naughty lads stealing the juice. The lovely clothes and festivals you guys have, it is so desirable. thank-you for writing this fantastic post. Here is my 3rd post about culture I hope you like and visit my page ..
Hi @syedkashifhussai, Greetings from #HHG11! This is new to me. We don't have this type of culture in Malaysia. Thanks for sharing this great culture blog. I hope you will continue to share good contents. I wish you a great day and Stay Blessed! Here is my 2nd post about Punjabi culture .I hope you like and visit my page . School life can not be forgotten. Those are the sweetest memory in our whole life. Every character attached with this life pinned in mind. And there your memory partner is a tree that is 187 years of old. That is really old one. This kind of tree's shadow can help us feel comfortable when people feel too much heat from sun. Your blog with school memory & this peepal tree is nice one combination. best wishes. Everything exactly is shown in this post I have a very close relationship with them . My primary school and this tree and the cricket ground with him can never forget those things. Thank you very much @aaarif for your visit on my page . Hello @syedkashifhussai, Greetings from #HHG11! Such an awesome reading about the majestic ancient 187 years old Tree, Peepal (Sacred Fig/ Ficus religiosa). It's interesting to know that important decisions were made under that ancient tree. I enjoyed so much watching that most romantic, sweet, melodious and beautiful cultural songs of yours. Please give the title and the singers. Thank you very much @poocut for your visit . Hello @syedkashifhussai I am glad to know that you have many stories of your country, always in our place of birth we have that emblematic tree, it is good that it is kept for so many years, and that you keep those memories intact. Thank you very much for the first time you like my culture . My culture is my memories that I want to share with you . Thank you very much for visiting on my page . Intersting story about “peeple ka ped”while reading your story I went to my native place and started remembering my childhood. Wish we could bring back our childhood and could enjoy once again. Thank you Syed for taking us to your childhood places and sharing your stories. Stay blessed! Here is my entry about pakistani punjabi culture. You describe it well with this saying. PS: thanks for the tip by the way . Stay blessed and have a nice day ahead. Hi @syedkashifhussai, you are most welcome! You deserve it, keep writing good stuff :D. Stay Blessed and Steem On! Hi Syed! How are you feeling there in Pakistan with your family? Thanks for showing us Pakistan Panjabi culture. It seems like I’m seeing Indian village culture, everything look so similar. Great to know about your culture Syed! Take care and stay blessed! Pakistan was once part of India @shanu. It's no surprise that they have similar culture. You are absolutely right... there is only border, culture and tradition still the same. Hi @syedkashifhussai, it's great that you are back home with your family for the holy month. I wish you and them all the blessings for this month. Thank-you sharing these amazing pictures from your culture and home life. The post made a great read and takes us back to simpler lifestyle. You're welcome @syedkassifhussai, keep up the great work! Yes, the culture of India and Pakistan is almost same . And this is a very old culture of the subcontinent . Thank you very much for your arrival and good wishes . Yes, I've see the similarities in the pictures! Excellent job. You're welcome. We start with our customs and traditions, we have so much to give and learn. I present to my country. Venezuela. I'll start with the national flower of my country. 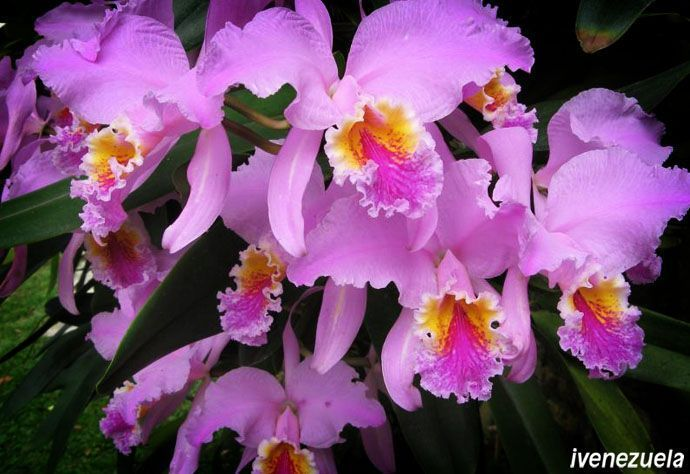 The orchid named Cattleya mossiae was decreed as the national flower of Venezuela on May 23, 1951. Its name pays tribute to the botanist William Cattley, who was the first to achieve its reproduction in a greenhouse in 1818. It is also known as the "Flor de Mayo", since since the 19th century it is used as an ornament for the May. know about your national flower Orchid. This is wonderful! I like it @shanu. thanks for your comment I will continue all week showing you all the wonders of my country. Hi @rvag5, that's an excellent start. Beautiful orchid is the national flower of Venezuela, awesome! I always adore orchid, it's such versatile flowers that have that lavish look and have always been a decor in many expensive hotels and restaurants around Malaysia. Thanks @ainie.kashif, if it is beautiful, that's why I started my introduction to costrumbres and traditions showing first the beauties in our presentation. Thank you @happyhairdays, I like that my national flower is so appreciated in the world. i wonder to see the flowers of different countries. All the flowers are so beautiful. When i see a high resolution flower photos that clear the visual i just kept watching. Flowers are the heart of beauty. Thank you @aaarif, this is the flowers are a sign of love, friendship and sincerity !!! Thank you @rlt47, if for me it is an honor to enjoy this wonderful flower and be the national flower, they are beautiful, delicate, I have one on my balcony and it is yellow, and it costs a lot to bloom. It's great to know you guys have a national flower. No one really has time for flowers where I'm from. Hi @jacksondavies, really? where are you from? @ainie.kashif - Boy am I excited, I simply love HHG activities. Welcome everyone to HHG #11 You know how much I love to start with my Gif teasers... so lets go everyone! @ainie.kashif, You're welcome - I'm glad you enjoyed my selection. @shanu, You're welcome! You know how much I enjoy Indian culture. I think inside I may have little Indian living...Lol! Hi Ainie, apologies for being late (again) - was very busy in the salon today. Also today is the day I travel and do the hair of the elderly! But I'm here to read everyone's comments. I will start posting soon. I see you are using "ROFL" - very good! These elderly are a complete nightmare, but I love them too bits. The one is my mother who is forever never ready for me...ai! The other lady is 78 years but has Alzheimer disease so she sometime forget I'm coming or she gets ready on the wrong days...ai!! The other one is 94 years and she like me to drive her places, I must take her to her friends and family and to the shops...ai!!! Hi Philinda, I understand... oh my that must've been a really hectic day for you but very fulfilling right. I am so happy you can make their day. And you made my day by telling such a lovely story. Take care and Stay Blessed! Our Bangladeshi culture have some similar with Indian culture. @rlt47: I’m happy to know that you love india..😂 So, your love for india should bring you here? India is calling you. Yes @shanu, India is calling me... It's calling me! I'm walking I will be their soon enough. Don't forget I love my tea, keep it nice and warm. Hi, this a very good way to start a topic on culture. Very creative. Wouldn't it have been better if you did a post from South Africa, though? True, but I told @shanu, that I have a little Indian living inside me...lol! 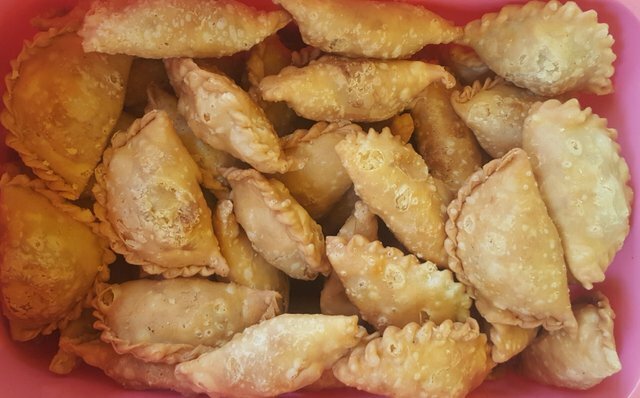 Yes, they looks so much tasty, yet i did not taste those but 1st expression after watching photo is feeling hungry :D It is true when we go to Ramadan bazaar its hard to control own self. I read this post, now while I'm fasting. and it instantly makes my stomach chime, and I feel hungry hahaha lol. because I prefer cakes that have vegetables and prefer to taste salty rather than sweet cake. Hampir semua makanan yang ada disana sama seperti makanan tradisional di sini. 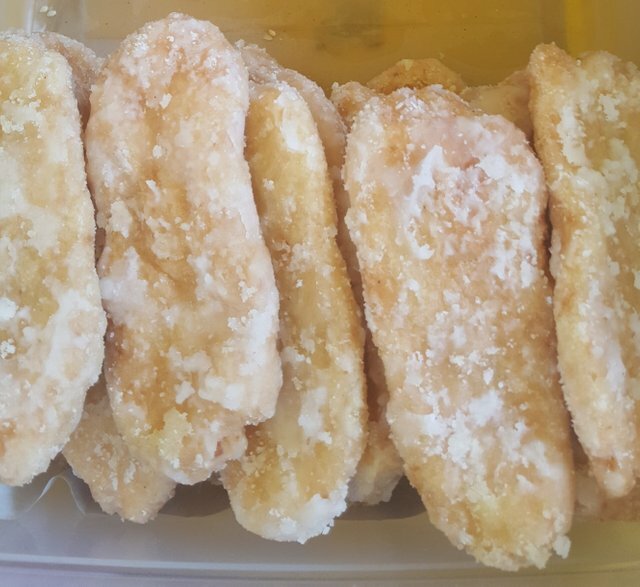 Kue Lemang adalah kesukaan saya. Desserts look so delicious and yummy... feel like tasting all desserts. We have some similar sweets but with different name. Thanks for sharing sweet post! 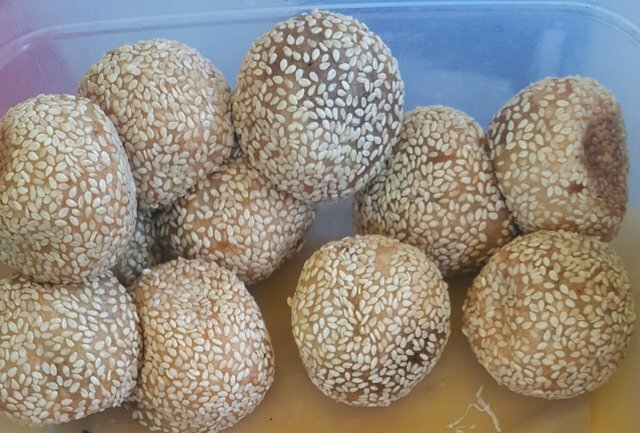 Take care Ainie..
For sharing your culture I love sweets, but you owe us a recipe, how to prepare some of them. How fierce is the strength of a nation? How deep is his capacities? All of this depend on tradition of this nation. You bring up the special one from your tradition of nation. Soo nice to see those desert. We have the same as your tradition. We called this 'Pitha'. My mother sometimes make some of them. I talk to my mother in lastday, and she tells me, Different pitha will make in couple of days. 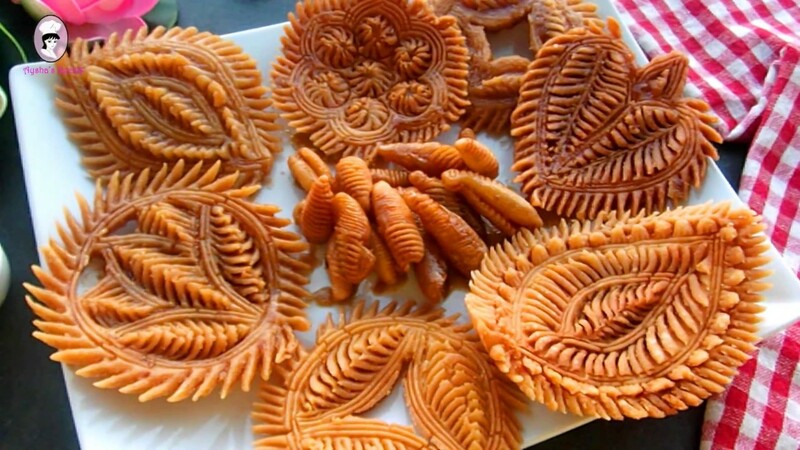 Hi @shariif, that's such an amazing kuih, I feel hungry looking at this awesome photos. Please please create a blog when your mother makes it. Don't forget to take photo step by step so we can learn how to do it. Hopefully before our #HHG11 closes. Wishing you a pleasant day. Without you post on these delicious delights the blog would be bland! Hi Ainie, I finally found some time to create some posts and respond to the to the comments. Now when it come to these sweet beauties you are talking my language. You have just inspired me to create a post on South Africa desserts. Please watch this space! ROFL! I hope you found them... ROFL! For me Culture is the identity of a nation, if culture is good then the nation will be good. Hi @poocut, ameen. I fully agree with you, by respecting own culture then the whole world will respect you. Yes we shall be showcasing various culture of the world in #HHG11... let's make the world see our culture in the best way possible. Happy Steeming and Stay Blessed! I want to ask you whether the river is safe and calm. because I was a bit afraid to see the deep river, and if suddenly appear wild bush from the river like snake crocodile etc. if you don't then it is little dangerous to travel on river with little boat. bidders will always win something and it will adapt to distribute all the 100% upvote ,now we reached to 13000 SP and recommend. send the 0.15 to 0.4 sbd or steem. Spending time at river and getting fresh is amazing feeling, no doubt. You are so lucky have so many rivers and these are your hang out places. Nothing can be better this. Real nature and fresh air touch our face, and give us piece of mind. Very refreshing post @aaarif. Take care and stay blessed! Hello @wilhb81, I trust you are well? @wilhb81, I'm all good my friend. You please need to share you secret of being such a prolific commenter...WOW! Anyways, go well my friend! Yes I agree, how to make around 60+ comments per day.. Awesome! @ ainie.kashif, I'm not sure - but it sure feels like it when you busy comments on HHG, lol! Thank you Ainie, Ramadan mubarak to you too. I’m happy that you got back early with new theme of #HHG11.😊 very intersting once again. So, let’s get started everyone. Stay blessed! Lol, you are great Ainie...proud of you. I wish i also feel energetic like you and this time I post everyday. Hahaha😂 thank you Ainie for your support. We have a lot of animals here in the Northern Cape. I went once to watch them feed the lions! I am such a big fan of nature and wildlife. I love this post show casing wildlife that makes South Africa and Africa famous. You have done a great job on this post. in national geography channel or animal planet i see South African wild life a couple of time. The wild life of your country is magnificent. The nature without the animals are really like empty. The existence of those wild animals were balancing the global Eco system. Necessary step should be taken against those hunter to prevent this. 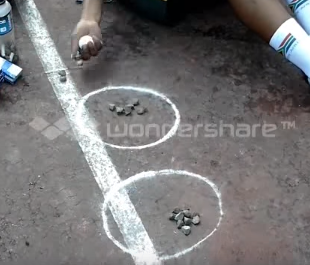 Hi Ainie, my 6th post on South African Traditional Games / Sport. Hi Philinda, Greetings from #HHG11! I was reading and it's quite hard to imagine without photos. So I watched each youtube videos and have extracted each photo for my ease of reference. They are very classic and traditional games. Thanks for sharing this great culture blog for #HHG11, I appreciate your hard work in making quality blogs for this week's Hello Hello Group activity. You have done very well, thumbs up! Take care and Stay Blessed! happy to know the history of past music in Venezuela. hello @poocut, hank you if the lyrics are in Spanish, which is the language of my country. All songs are amazing, I try to understand some. Music is great and soothing. Well sang by all the signers. Music is way of discribing your feeling in good way. Good share @rvag5. Hi @rvag5, Greetings from #HHG11! I love this post, all music presented here are so awesome. It lifted the spirit of whoever listening to it, such great composers and excellent music production. My sincerest appreciations for making this lengthy blog about your national anthem. Wonderful choices of patriotic singers that delivered the anthem beautifully. For this great blog of your nation, here's my gift! Keep on posting good stuff that can intrigue me. Take care and Stay Blessed! thanks dear @ainie.kashif happy for you and wish you aaall the best. you deserve more. Yay Ainie! I managed to post my full set of posts! Hi Philinda, Greetings from #HHG11! I appreciate your hard work and imagine, you have completed the tasks posting all great culture blogs that have introduced us to all your country's key traditional elements. Bravo Philinda! I am so proud of you :D I was made to understand many things about Africa just by reading all your blogs this week. My sincerest thanks for making all your blogs specially for #HHG11 although you are so busy running your salon with all your appointments and customers. Take care and Stay Blessed! the design of those dresses are just awesome! and the yellow bed sheet one is nice too, i like to buy this kind of bed sheet for my bed. Hello @ainie.kashif, Batik design have in our country also. But i have not enough knowledge about it. You describe batik design broadly. You represent batik design in country which is Enriched my knowledge about batik. How could I miss this amazing post of yours? So many different designs of batik. They look really beautiful and I want to wear those floral print, specially printed on caftan batik designs. Thank you for this great fashion post, Ainie. I love it like anything. Stay blessed! Welcome back #Hhg11 happy to see again all members of group . Hhg10 Very smothly complete Im very happy . Happy Ramadan to everyone . This time I am in Pakistan . All country have own culture . I like this topic very interesting . I hope everyone enjoy weekly topic . Thank you @ainie.kashif stay blessed steem on! Yes definitely I am fully happy with my mom . After 2 years meet with mom . Yes I will share with #hhg10 members my culture . I hope everyone like my culture. 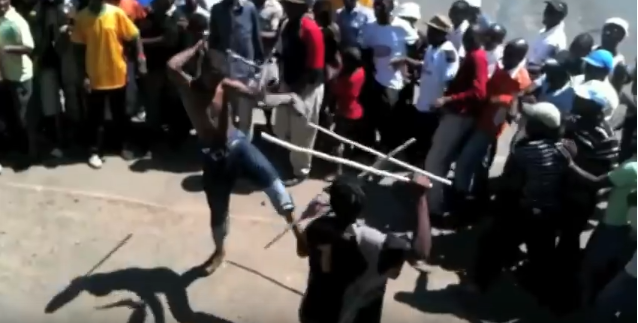 My final submission a haiku about the Swazi Tradition called the reed dance. virgin girls bring queen reeds! King may choose new bride! @ainie.kashif I agree that we need positive energy from the start. Hopefully the haiku and the banner lifts the mood and the spirit for the entire challenge! Hello my dear @rlt47, I answer with a haiku, I hope it fits me well. every day we have a new opportunity. The sun will always illuminate. Happy and blessed day for you. @rvag5 - You have created a wonderful freestyle haiku! You have done extremely well and enjoy the positive words you have used. You have a very beautiful picture. I the fact that the haiku is specially made for hello Hello Group is extremely special! Thank-you for taking the time for doing this. I really appreciate how you make us in the group feel special. @happyhairdays - Thank-you for the compliment. @ainie.kashif asked me to a create this symbol for the HHG. For this reason I'm happy to do it for her and the group. I think it's important that I make each one specific and special! You're welcome, please keep doing it! @hairyhairdays, I will, it's a standing order! When i see your haiku, i just start to think all my comment with haiku comment :D But as this is a pressure in brain to think too much, so i released my mind to making haiku always and try to reserve my brain for right time. @aarif, lol! - I'm sure you fine just the way your are! Steem onward and Upward! Hello @annie.kashif y my group. 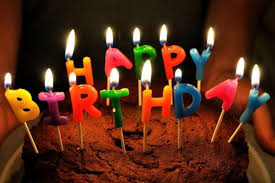 Though i do not actually celebrate birthdays but there something special many people do. it depends on social status. High society people do celebrate with a grand party or arranging huge launch for guest and celebrate chopping cake at evening. and low level society is not concerned about it but sometimes they buy a medium size cake and celebrate only with family members. South Africa has eleven official languages. These are English, Afrikaans, Xhosa, Zulu, Sotho, North Sotho, Venda, Tswana, Tsonga, Swaz and Ndebele. 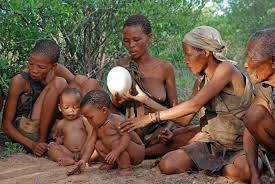 Here are son San people engaging in a conversation. 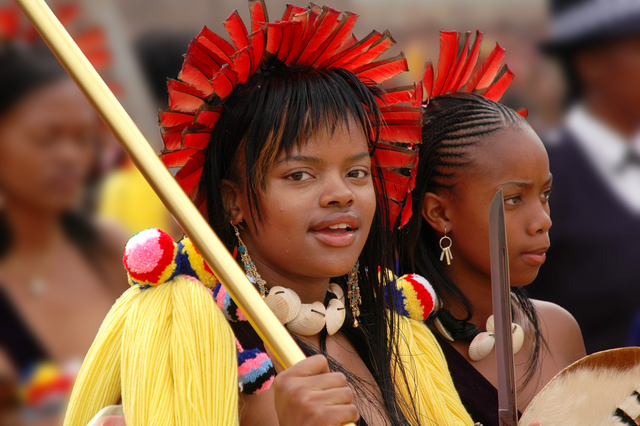 The San people are the owners of the language found on our Coat of Arms. Hello @happyhairdays, Excellent to handle eleven languages, it is not easy but I imagine by the culture of each town, manages its particular language but there must be an official language I imagine. We have many more than 11 languages, but the state must give support to the 11 official languages. Many people communicate out their culture in a second or third language usually English or Afrikaans! Thank you Ainie, yes it is difficult here with all these official languages, it costs the country lots of money to maintain. Impressive and yummy dessert of your country. Do you also make them at home Philinda? Cakes are your speciality. I enjoyed reading your post. Take care and stay blessed! I can make them, but I am too busy to make them so I order from my friends and community member that do it for me. I understand, you mostly busy with your work. Its okay to order at home and enjoy having this yummy dessert. Take care Philinda and stay blessed! Hi Philinda, Greetings from #HHG11! Yummy!!! I'm in love with all of these treats. I wish I can find it in Kuala Lumpur hahahah. 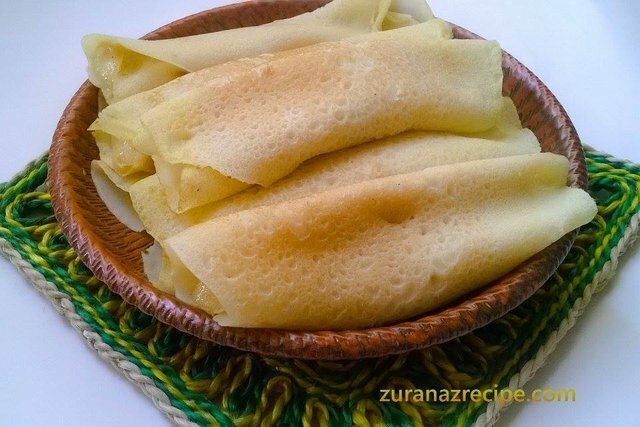 Thanks so much for sharing this great traditional dessert of your country specially for #HHG11. I am really impressed with your work. I hope to see more good contents from you. Take care and Stay Blessed! Yes, the shadow play characters are from Ramayan and Mahabharat, much similarities in Hindu culture. Ram, Laksman, Sita, and Rawan. Lovely post Ainie. Take care and stay blessed! Hi @ainie.kashif, its sad what modern lifestyle is doing to our cultural heritage. This post reminds me about my earliest memories of Malaysia, when I used to visit the library as a child. These are the pictures I would find and read about. That was when the world was a much bigger place. Hi @rlt47, yes it's sad that the tradition has been the thing in the past. The younger generations have been drifting themselves far into the modern colonialism and capitalism. The tradition parts remains have been slowly sinking to a place in historical books. Oh my Ainie, this is wonderful. I'm not familiar with this art form at all, but it does have that air of nostalgia to it. The feel of a dying art. Your guys are so correct it's a tad bit sad! Hi Philinda, yes it's sad. The only way to keep it alive, it's our duty as a blogger to blog about it to create an awareness of the dying art. Hopefully, with our support in the blogging world, the tradition stays alive for as long as it can. Ainie, I think you correct in this statement. We must keep the awareness going so we can inspire a new generation to take the baton going forward. Yes Philinda, that's the spirit :D, thanks and Have a pleasant day. In Indonesia there is also a "wayang" but it is on the Javaisland . I who live in aceh rarely see "wayang" shows. Ohhh that's very far @poocut :) thanks for explaining. Hi Pihilinda, my mouth is watering so many yummy and delicious dishes of your country. I would love to try last one “Bunny Chow”, look spicy and tasty too. Great and yummy post! Exellent job dear! Take care and stay blessed! Hi Shanu, They are yummmmmy! I made bunny chows twice this week already! Thank-you for you kind words. Hi Ainie love, I'm sorry to put you through all of that, but I am very proud of our culinary history and was very excited to share it with you! Although this is a time of fasting and time just start but i feel hungry already after watching those. Liked the bunny chow most. Hello Ainie and HHG,My second post. Design of Bead is so creative and really wonderful! And the made of the flag is an another beautiful creation. Yes, it is beautifully done!